On October 13th, I taught the Autumn Colours Monotype Workshop at Visual Voice Gallery in Truro. This workshop had four participants and as always, was a lot of experimental fun. 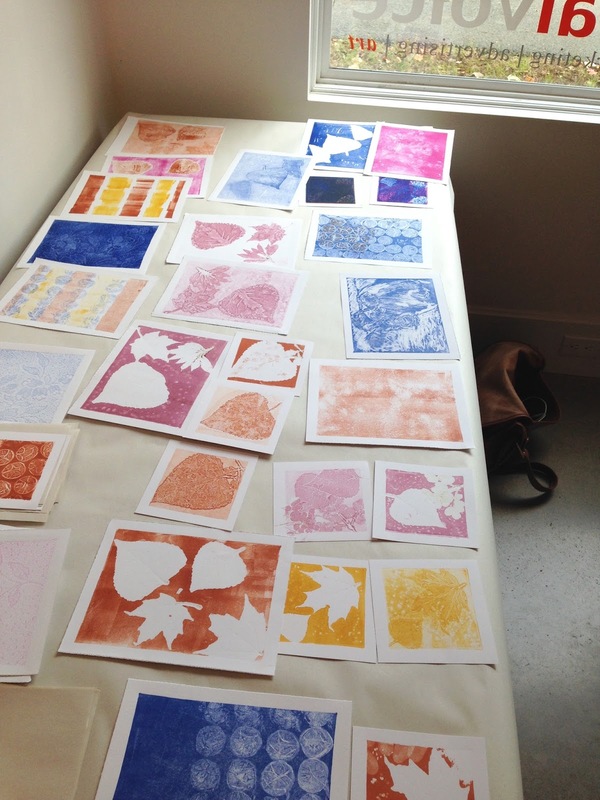 Hanna's lovely plant test prints. The fabulous Susan Sweet worked on a few cows. After lunch workshop Participant Hannah Hicks was surprised by a pretty little birthday cake made by Nuri. Hannah was by far the most experimental and prolific participant. She wanted to try everything and her excitement was contagious. Here she is carefully pressing a leaf into the ink to get a more subtle and delicate impression. Hannah is very pleased with her experiment. And onwards to the next one. Hannah has another plate ready to print. Participant Barb inking her plexiglass plate. Barb's beautiful plant and lace Monotype. 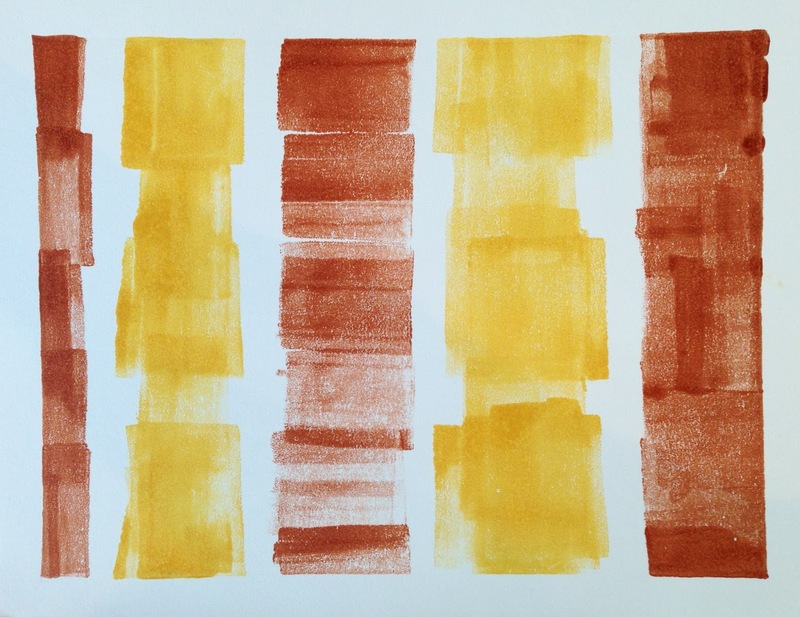 Susan Sweet is working on a monotype of a cow. Jill Hicks inking up her plate. These are just a few of many more prints that where made during this workshop. The inking station always gets a bit out of control in these workshops. But that just means much fun was had and many print where made. I am assisting Susan Sweets with her print. Thank you to the participants and their creative energy! 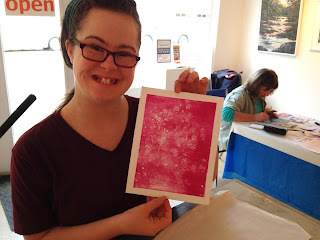 Thank you of course to Nuri at Visual Voice Gallery for hosting this workshop.